Welcome to Book Review Central! The main focus of this site is to call attention to noteworthy books by Florida authors, particularly those working in SW Florida. From time to time, I post writer profiles, information about book events, writers’ conferences, workshops, and related happenings in the area. Postings and pages on this site (unless otherwise noted) are my intellectual property, (c) Philip K. Jason, and may not be republished without explicit permission. I began my college teaching career in 1966 in the Georgetown University English Department, where I taught for seven years. From 1973 until the end of 2001, I taught English and Creative Writing at the UNITED STATES NAVAL ACADEMY in Annapolis, MD. Since my retirement, I’ve been exploring new directions in my writing while leading private workshops, consulting, and writing about new books and book-related events. I began a nonacademic book reviewing career with my “Book Beat” column, which ran in the now-defunct Naples Sun Times from July 2006 into June 2008. 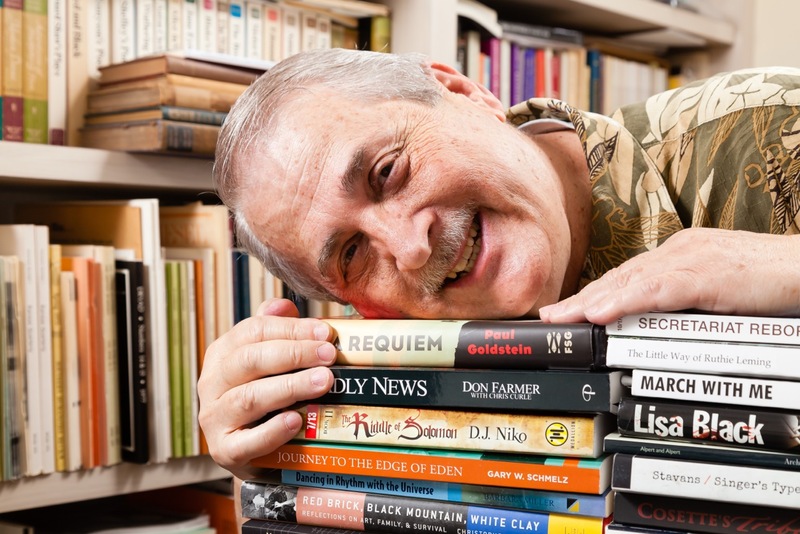 A few months later, I began writing about books for the bi-monthly Fort Myers Magazine. I continue to publish there from time to time. In July of 2009 I started reviewing for Florida Weekly, primarily in the Naples edition, but also in the editions for Fort Myers, Bonita Springs, Punta Gorda/Port Charlotte, Venice, Key West, and Palm Beach. In July, my “Florida Writers” column will conclude its 10th year, though it is now appears twice-a-month rather than weekly. This is my primary home as a book columnist. Over the years I’ve published over 400 reviews in Florida Weekly. In 2010, I began contributing book reviews and author interviews to the magazine Jewish Book World (now replaced by the impressive Jewish Book Council website). I have now published over 80 reviews for JBC, as well 5 interviews. That same year, I started contributing to the exciting blog Southern Literary Review. In November 2011, I became the publisher and executive editor of SLR. See the link to my SLR pieces on the sidebar. I did thirteen reviews for citybookreview.com, the online inventory of reviews that feeds San Francisco Book Review and Sacramento BookReview, before being dismissed. My reviews also appear as an ongoing column in three monthly Jewish newspapers in Southwest Florida: Federation Star (Jewish Federation of Greater Naples), L’Chayim (Jewish Federation of Lee and Charlotte Counties), and The Jewish News (Jewish Federation of Sarasota/Manatee). Some contributions are originals for these newspapers; others are reprints of reviews published elsewhere. Since 2012, I have contributed over 50 reviews to the worldly and wise Washington Independent Review of Books. Some of my best work is there, no doubt inspired by the quality submissions of other contributors. I enjoy membership in the Naples Press Club, and in past years served as its Vice President for Administration. I am a devoted fan of netgalley.com. Hi Phil, Your new website is beautiful. Love that Naples pier shot, and not, incidentally, the one of you in a tuxedo. Way cool. I was delighted to see the new website. It is such a wonderful accomplishment. Congratulations and best wishes for a wonderful response now and in this coming year. Hi, Phil and a belated happy birthday! Your website looks good, full as it is of interesting writing, reviews and opinions. If I had a website I would aspire to imitate yours. What a great idea. Please keep it coming. As literary agents in town Carole Greene and I would love to take on some new clients who have great potential in either non-fiction or fiction. Please mention our names if you like in your posting. I went through the stories you wrote. Very interesting. Hi: Phil. I think it is a great idea. Your web site is streamlined and interesting. I plan to go with a national agency, “Broadcast Interview Source” next year and hope to be on some national shows. Mazel-tov and best of luck! Cynthia Bercowetz. I like your idea. I’m a “snow bird” who spends the winter in Naples. I attended the Press Club’s writer event last spring and learned a lot. My romantic suspense novel, Buried Heart, will be published in October, 2009, by The Wild Rose Press, which is very exciting. Thanks, Gerry, it’s nice to be appreciated. By the way, I fed information about ourblook.com to a person in LinkedIn discussion who was bemoaning the abuse of such media and the lack of serious discussion of issues. I was wondering if you would grant me permission to use your poem “When Miriam Died” in our synagogue’s service this coming Sabbath. Thanks so much! Certainly you may use the poem at your Shabbat service. Please mention that it originally appeared in MIDSTREAM. Great site, I just tweeted it! Great website. Love to hear from you, concerning workshops, and agents, etc. AM a novelist, poet, and professor, with rather similar interests and some coincidentally ironic background details. Love to hear from you. This brings to mind why one of my favorite TV shows is “The Living Planet” with David Attenborough. Everywhere, and often seemingly nowhere, are such remarkable discoveries, if only we look. Phil: Your blog is fantastic! I’m a follower now. If you like, join the fun (and occasional book review) over at my place: http://www.thatssojacob.wordpress.com 🙂 thanks!